Immigration Did your ancestors go to America? Ellis Island is where the Statue of Liberty stands and 12 million immigrants wanting to come into America had to pass through. My husband and I went to Ellis Island and the museum there was one of the best I have ever been to. I will always remember the long line of bags and old shoes representing the lines of people waiting to be processed from the boats. The great hall is such a large space, but when you consider that in 1907 they had 1.25 million immigrants processed through that hall in a year, it needed to be big. Nearly half of America’s population today can trace their origins through Ellis Island. This is why the records that Ellis Island is so good and it’s free. The records held cover 1892 to 1924, recently the collection has been expanded to 1957. The passenger record archive has Passenger Records – passenger name, date of arrival, ship, age on arrival – Original Manifests – passenger names and other information – Ship Information – some with pictures, history and background of the ship. While the community archive is a place where people can write about the history of individual passengers. Their lives and backgrounds and all profiles are available to paying or non-paying customers. Many famous people went through Ellis Island’s immigration. They include six American presidents and numerous famous actors like Bob Hope and Charlie Chaplin. Albert Einstein, Sigmund Freud and Carl Jung also found sanctuary after the World Wars. After World War Two, American embassies were established overseas and the process of applying for visas and undertaking medical exams are done before immigrants leave their home country. Searching the passenger lists is easy. Just put in the passenger’s name and the results come up for you to search. If you don’t get results the first time, search through other spellings or variations of the name. It is possible to save the information that you find but if you want to get a certified copy, you can pay for it through the website. This website might not be applicable to everyone out there but if you have a branch of the family that disappeared, it may be worth a look. Also some families, would go to a country and decide it wasn’t for them before moving on to Australia. Others looking for gold, roamed around to different wild frontiers. It certainly doesn’t hurt to give it a look when the information is for free. 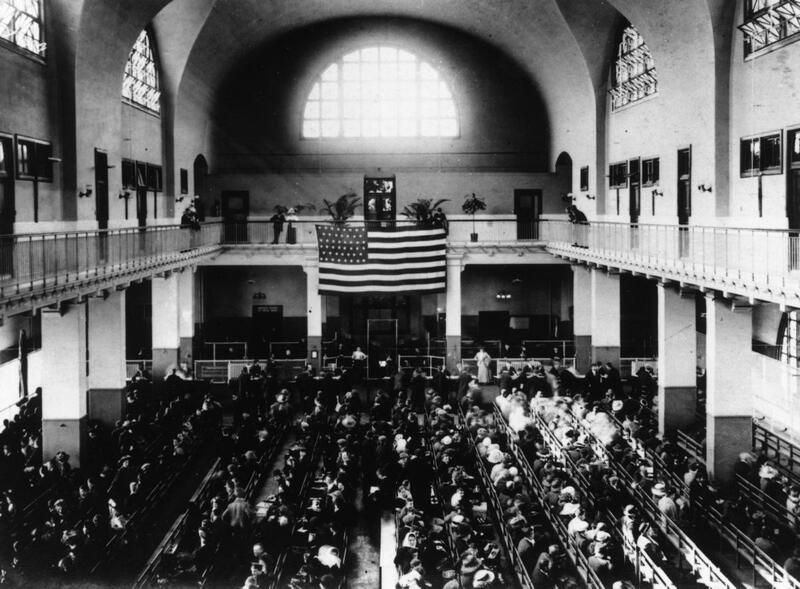 American ancestors, American immigration, Ellis Island, Ellis Island passenger lists. Bookmark.